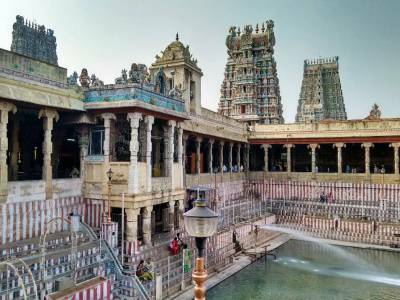 The Meenakshi temple is situated on the southern bank of river Vaigai in Madurai, also known as the temple city of India in the state of Tamil Nadu. The temple is a historic one and is also known as Minakshi-Sundareshwara or Meenakshi Amman Temple. This famous temple is dedicated to Meenakshi, which is another manifestation of Parvati; and her consort Lord Shiva. The Meenakshi Amman temple is located right at the centre of the city of Madurai. 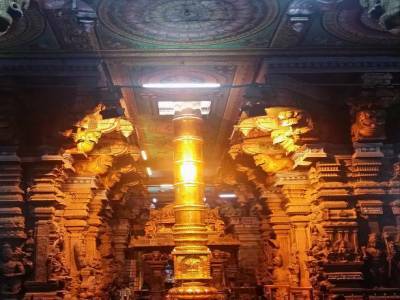 The Meenakshi Amman temple definitely has got its historic roots; however, the major portion of the structure was constructed and rebuilt post 14th century with further repairing and renovation as well as expansion made in the 17th century. The present construction is the outcome of the rebuilding efforts taken by the rulers of the Vijaynagar emperors. The temple is undoubtedly a pilgrimage place for the Shaivinism sect dedicated to Meenakshi and Lord Shiva. The Meenakshi Amman temple also incorporates Lord Vishnu in many of the sculptors, narratives and rituals for He is considered to be the brother of Meenakshi. The Meenakshi temple also features, flute playing Krishna, Brahma, Lakshmi Saraswati, Rukmini and other Puranic and Vedic deities along with artwork displaying narratives from major Hindu texts. The massive temple complex is a sight to behold attracting thousands of visitors every day. 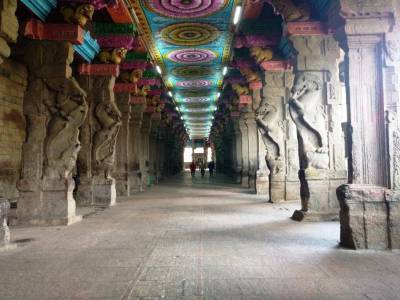 The Meenakshi Amman temple is one of the cleanest temples in the country and it is indeed a matter of much astonishment how in spite of so many visitors and travellers visiting each day it is kept so clean the way it is. 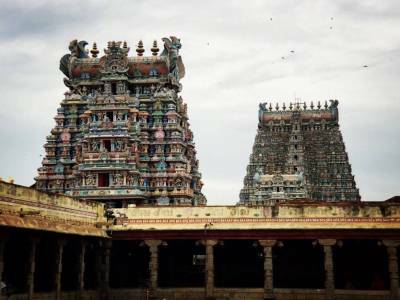 More than millions of devotees make it to the Meenakshi temple during the annual 10-day Meenakshi Tirukalyanam festival which is celebrated with great vigour and grand style. There is also a very popular chariot (ratha) procession during the Tamil month of Chittirai which happens to be somewhere in April-May in the English calendar. 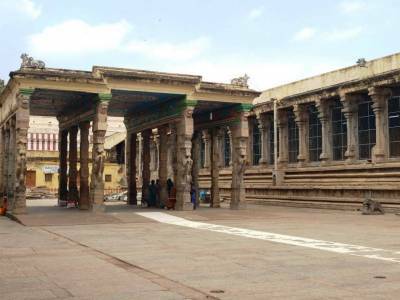 Get quick answers from travelers who visit to Meenakshi Amman Temple.